Please register for one session the number YOUTH you are bringing to the event, ages 5-17, who plan to sell popcorn this fall. Join us at the 2018 Popcorn Kick off event at Base Camp at Fort Snelling. 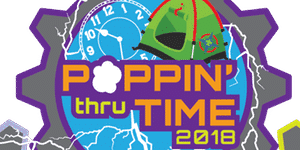 You and your Scout will be able to get excited for the upcoming sale–Poppin Thru Time! Try all of the Flavors! Work on your Sales Pitch! Learn about the Perfect Storefront! Sign up for Online Sales! All Youth ages 5-17 who are planning to sell popcorn this fall, register and attend this even get an EXCLUSIVE patch for the 2018 collection. Also check out the NEW Leadership Center at Base Camp and learn about all it has to offer. Digital Technology will be offered from 10:30-12:30. After you register, you will get sent information on what to complete before attendance. Salesmanship -We did lose our MB Counselor recently due to a personal commitment, but we are trying to get a new one in that role. Once we do, we will inform you of the time the MB is. Our apologies for the inconvenience.